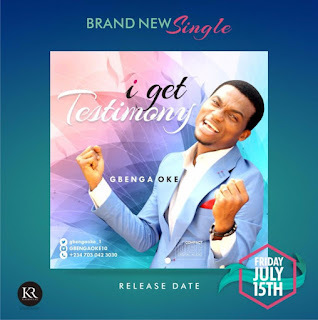 Praise leader and worshiper Gbenga Oke drops, I Get Testimony. He said, "this heartfelt praise and thanksgiving song was delivered to me in the midst of a recent trial." “I left church after a powerful worship service on 10th May 2016 at about 8.45pm and was involved in a fatal car accident. My car was badly damaged and my left foot seriously crushed and bruised but Miraculously, no single bone was broken (scripture fulfilled)”.